CZ is one of the oldest arms manufacturers in Europe, and their firearms have earned reputation for extreme accuracy. It's CZ 452 line was known as Czech Anschutz because of it. These rifles were my favorite, because they presented a fantastic trade-off between accuracy (really, as good as any under $1000 Anschutz) and price (they sold for under $400). You can see a few of my reviews here, here, and here. Since CZ has discontinued CZ-452s (though we still have a few in stock), but I've been buying all I could in anticipation of draining supply lines, and have recently discovered a distributor with a similar passion of CZs, and a moderate, but dwindling, stock of 452s still available. Ok, this is official: CZ has discontinued the UltraLuxes. We have a few rifles in stock, because we were buying up all we could see, but this is it - once our stock is depleted, they are gone forever! For the time being we WILL ship these rifles. The cost of shipping is $30. This item is currently unavailable and cannot be special-ordered. Please check back later! Military Trainers have been discontinued a while ago - but it looks like one of our new distributors still has some stock. 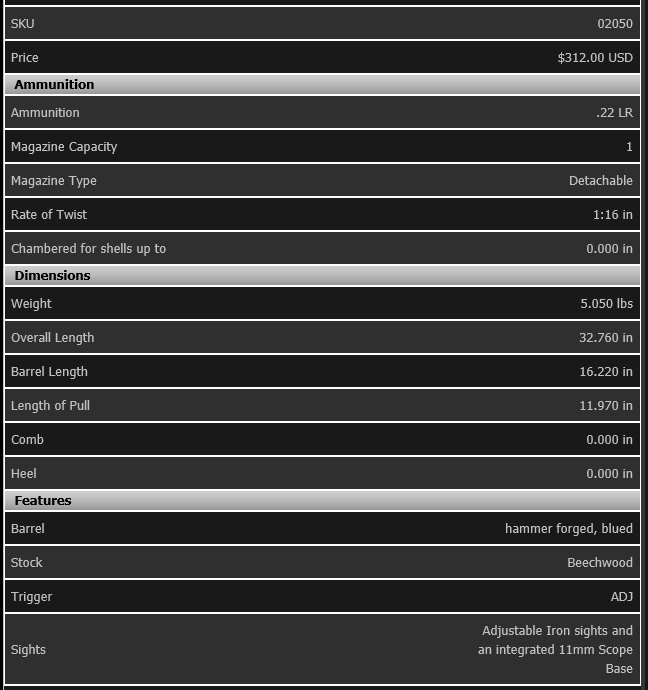 So we have removed all limitations, and will now ship these rifles. We also have plenty of CZ 455 Military Trainers in stock - we will be happy to ship these! The threading is 1/2x20. 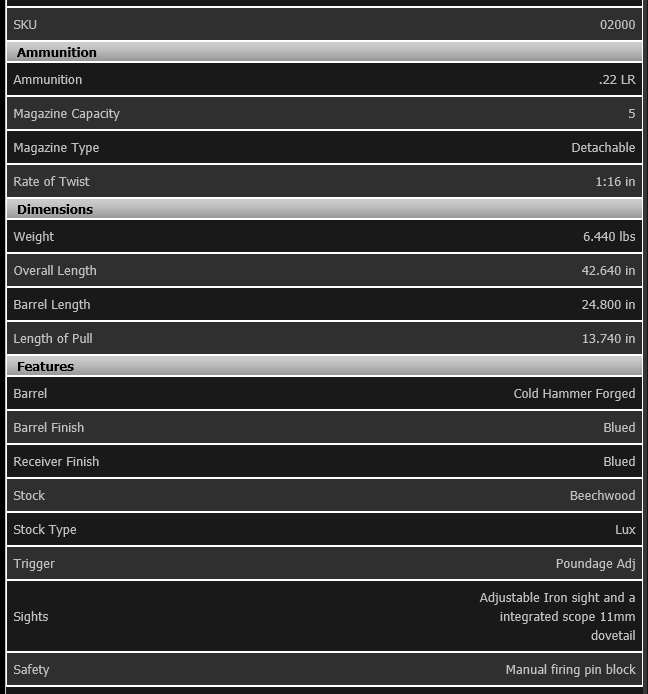 This rifle has 16" barrel, and comes with 10rd magazine. A 1/2x28 adapters are available online. Note: scope is not included! 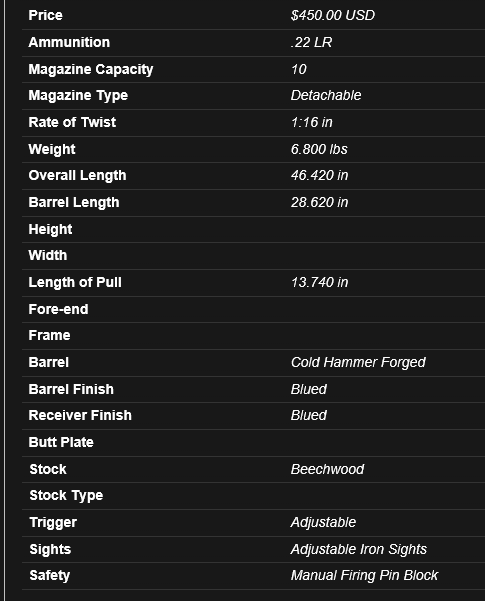 This rifle is also available in 17HMR for special order for $499.95 by emailing sergey@preciseshooter.com ONLY. Do not call the store about it! We have just a couple of rare youth version of CZ 452. The Scout rifle has the same receiver, a somewhat shorter stock, and simpler iron sights than its elder brother. It is easily the best quality youth rifle on the US market today. 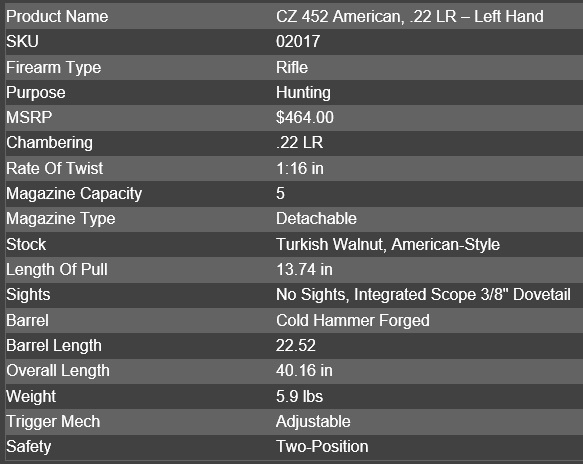 Please see our mini-review of CZ 452 Scout here.